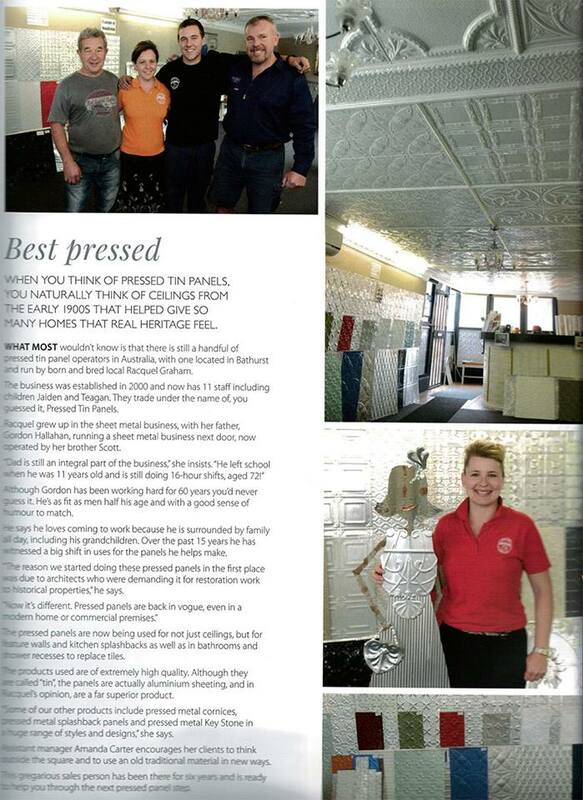 Pressed Tin Panels is featured in the Autumn 2015 edition of Central West Lifestyle Magazine. Our Best Pressed Story features a fantastic write up about our product and the history of our company. Grab a copy today to check it out!